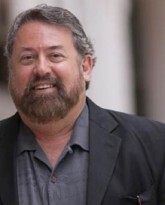 CEO, Future in Review (FiRe) Conference Corp.
Chairman and founder of the Orca Relief Citizens’ Alliance, Mark Anderson holds a BS degree in Marine Biology from Stanford University and an MS degree from Stanford’s Hopkins Marine Station. Following his Hopkins studies, he was offered a full scholarship to study cetacean diving biochemistry in the University of British Columbia Ph.D. program, where he helped create the then-new field of biochemical ecology under Dr. Peter Hochachka. While at UBC, he expanded his studies in cetacean physiology and acoustics, and taught courses in both. He later taught a course in marine mammalogy for Harvard University while serving as chief scientist on the tall ship Regina Maris and conducting the annual humpback whale census on the Silver and Navidad banks. At that time, he made the longest-ever recording of a humpback whale song, subsequently donated to the collection of leading humpback expert Dr. Roger Payne. Mark’s suggestion for a new understanding of Orca acoustic-hunting techniques led to a recruitment offer to join Dr. Ken Norris in his Ph.D. program at UC Santa Cruz. His interest in Orca acoustics led to the presentation of his paper on the topic of the potential data-carrying capacity of killer whale sounds, at the first Orca Symposium. In 1978, on a no-fee basis, Mark was recruited by Ken Balcomb to create a whale museum in Friday Harbor, Washington, which he agreed to do in exchange for financial autonomy. He subsequently arranged the lease, raised the funds, and worked with hundreds of volunteers and four universities to create the world’s first research-based whale museum, still operating today. At that time he declined Ken’s invitation to head the parent nonprofit organization, funded by the museum, whose income and assets dwarfed those of the parent. Mark was soon released, spurring a protest in which all museum members resigned, the advisors joined the larger board, and Ken and his prior board members were let go, leaving the museum in control of its own fate, its current status today. 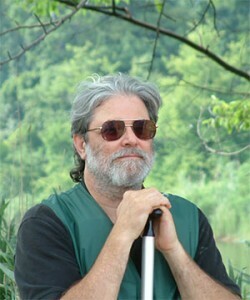 Mark returned to cetacean work in 1996. 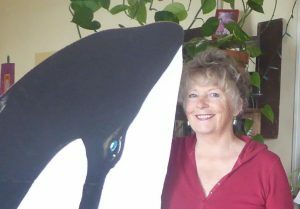 Having foreseen the need for an organization focused on causes of mortality in Southern Resident Killer Whales (SRKW), he co-founded, with Roger Clark, the Orca Relief Citizens’ Alliance (ORCA). ORCA was in place when the SRKW population suffered a population crash of 17% over the following five years. Under Mark’s leadership, Orca Relief was the first group to recruit serious scientific study of the causes behind Orca mortality rates, beginning with an overview managed by the University of Washington Friday Harbor Laboratories and conducted by the UW. This work, which included the computer modeling of every whale in the SRKW population, led to the first descriptions of how the pressures of low Chinook salmon count, harassment (intentional and otherwise) and sonar impacts by motorized boats, and high pesticide loads were working together to harm the whales. Later, ORCA-funded studies by scientists at the National Marine Fisheries Service (NMFS) Marine Mammal laboratory and elsewhere helped provide details on various energetic and acoustic effects of motorized boats on whale mortality. Today, there are more than 50 published scientific studies by NMFS, universities, and independent scientists, all confirming this early work. A petition created and circulated by Orca Relief demanding an end to motorized craft chasing the SRKW became the most-signed petition in San Juan County history. Mark’s later testimony in federal hearings helped lead to an expansion of rules for the protection of killer whales from boat effects. Mark is also CEO of the Strategic News Service (SNS: www.stratnews.com) and publisher of the weekly SNS Global Report on technology and the global economy, read by technology executives and investors worldwide, including Bill Gates, Elon Musk, Vint Cerf, Michael Dell, Mark Hurd, Paul Allen, Paul Jacobs, Craig Venter, Bill Janeway, Robert Hormats, and Leroy Hood. SNS also publishes the tri-weekly SNS interactive News (iNews) for and about leaders in technology and finance. Mark is the founding chairman of: the Future in Review (FiRe: www.futureinreview.com) conference, now in its 13th year, named by The Economist as “the best technology conference in the world”; INVNT/IP (Inventing Nations Vs. Nation-sponsored Theft of IP), a consortium of leading global technology companies working with governments to reduce nation-sponsored IP theft; SNS Project Inkwell, the first global consortium to bring vendors, educators, and students together to accelerate the deployment of appropriate 1:1 technology into K-12 schools. The SNS FiReFilms initiative (www.futureinreview.com/firefilms) was created in 2009 to identify, support, and promote potentially world-changing documentary films in which technology improves the human condition. Mark is perhaps best known for the accuracy of his predictions, with a publicly graded accuracy rate of 94.6% since 1995 – including: the Great Recession of late 2007 (made in March of that year, on CNBC Europe’s PowerLunch); the contemporary outbreak of “currency wars” and the first modern use of the term; the advent and success of the CarryAlong computer category (1997) as the fastest-growing and largest in the industry, now represented by pads and netbooks; the first detailed description of the Internet Assistant category (1998), now represented by Siri, Google Now, Dragon Go, and others; and the global currency crisis of late 1997 (in April of that year). He is the author of the Global Trifecta Proposal – a solution set to slow global warming, based on linking commercial graphene production to energy plant CO2 emissions and graphene 3D printing; Equilibrium Genetics, a new theory of evolution and genetic variation; the Resonance Theory in physics; and Flow Economics and Hyperstructural Economics, two new pragmatic descriptions of the forces behind the post–Information Age economy. Mark holds several patents and has been selected as one of the “100 Smartest People We Know” by Fortune magazine. Bruce Stedman has 32 years of experience in marine conservation and health issues, whale conservation, nuclear/toxic site cleanups, and freshwater resources. The first curator of the Whale Museum, his work has involved community groups, non-governmental organizations, private companies, and local, state, federal & Native American governments. He has worked with senior officials, leaders, and executives throughout the U.S. and in 11 countries. Trained at MIT, he has directed 5 other organizations and taught environmental courses at Harvard, Tufts and Western Washington Universities. Janet Thomas has lived on San Juan Island for 25 years and been an activist in the northwest for more than 40 years. Her experience on the streets of WTO Seattle in 1999 resulted in the book, “The Battle in Seattle: The Story Behind and Beyond the WTO Demonstrations.” She was Superintendent of San Juan County Parks and Recreation when attempts were made to launch Jet-ski whale-watching from the county park on the west side of San Juan Island in 1995. Her denial of this request resulted in the January 1996, San Juan County ordinance that banned the use of motorized personal watercraft on all marine waters and one lake in that county. This county decision to prohibit such activity was upheld by the Washington State Supreme Court in 1998. In the 1980s, Janet worked with the City of Seattle to promote the beginning of Vanpooling, Carpooling and Flexible Hours throughout the region. She also worked for the State of Washington as the public relations and marketing coordinator for the region-wide “Flow” system of I-5 ramp-metering, and the opening of the I-90 expansion though Mercer Island. Throughout this time she was active in the anti-nuclear movement in Kitsap County. As a playwright, her work has been produced in Seattle, Portland, San Francisco, New York, and Hawaii, as well as at the John F. Kennedy Center for the Performing Arts in Wash. D.C.. Her plays address the issues of abortion, sexual abuse prevention, the nuclear threat, the war against the environment, racism, and human rights. Her most recent book is “Day Breaks Over Dharamsala–A Memoir of Life Lost and Found.” She is currently at work on a book about dementia and enlightenment as well as her continuing work on behalf of the Southern Resident orca whales in the Salish Sea and the preservation of the sensitive eco-system of the San Juan Islands.